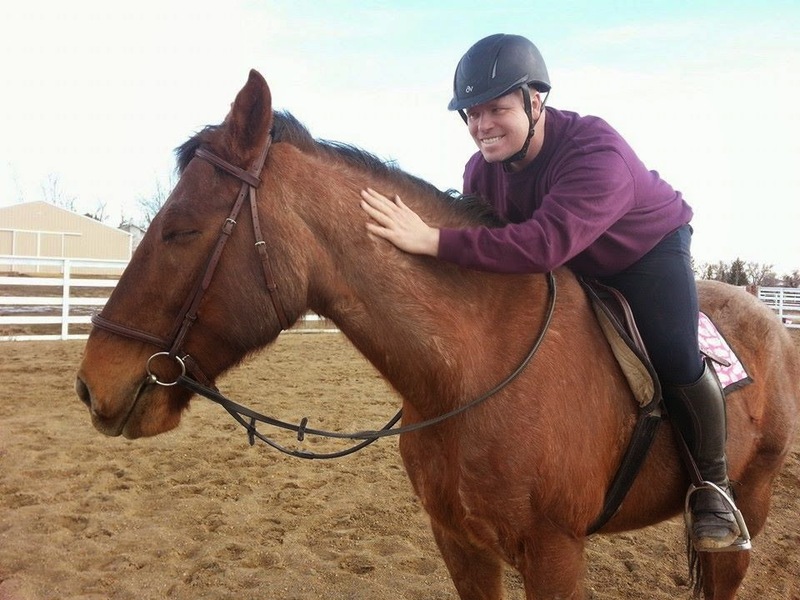 We've been looking for a SAFE & SOUND horse for my husband Greg now, for a LONG time! Recently, we thought we'd finally found him! Ollie was a solid draft cross, who was calm to the jumps and seemed to enjoy taking care of his rider. I mean, look at these two! They appeared precious together. But something was off....the story given to us by the seller just didn't "add up." And worse, after our initial glowing visit, every time I thought about moving forward with Ollie, I felt my body all clench up. Soon, a nagging little voice in my head started calmly proclaiming: Trust Yourself. Whenever we're going to make a very important decision about horses, we always have a call with our favorite animal communicator, so we went ahead and had a conversation about Ollie. Well, as an animal intuitive AND horse trainer, she LOVED him! One of our concerns was that he was a tad out of our budget range, but she assured us he was WORTH EVERY PENNY! Her advice: This was the horse we were waiting for. Go snap him up and live happily ever after! Trouble was, even with her glowing input, every time I thought about Ollie, my entire body turned into knots, my head hurt, and my stomach churned. But WHY?, I kept wondering. He seemed like a good match. Yet all week, I kept hearing over and over: Trust Yourself. I scheduled a second visit with Ollie, but I continued to be troubled about the way I FELT about him. So, on the eve of our next meeting, I reached out to another animal communicator to get a second opinion. This was a HUGE decision for us and I DID NOT want to make a "mistake." Greg had a heck of a year last year, after not having been hurt by horses in over 20 years, he had broken an arm needing surgery, got a concussion needing an ER visit, and fell off and couldn't walk for a week! After all of THAT, I really, REALLY didn't want an error in judgement. This 2nd communicator also liked Ollie, but a slightly different picture of the horse emerged. 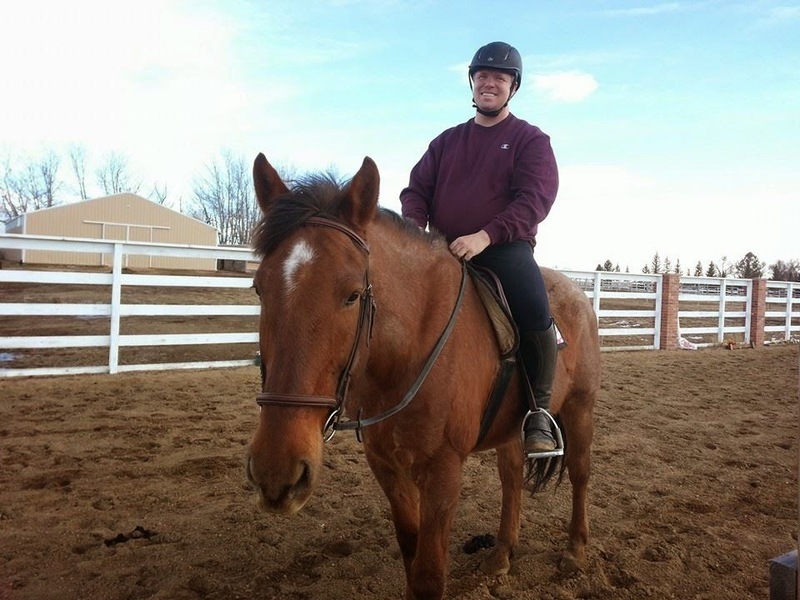 While the horse wasn't specific, he couldn't assure us that Greg wouldn't fall off of him. This lined up with my own feeling that somehow, one of us might get hurt with this horse. Which frankly, didn't make any real sense when we met him, because he was calm as a cucumber and carried a little 9 year old over fences like he was her trusted uncle. So I left that session still confused! What on earth should I do? I simply couldn't find the YES in my body. And still that little voice kept nagging, Trust Yourself. And to be honest, my body was sending some super clear signals. Every time I considered adding Ollie to our family, I felt, in one word: YUCK. I was getting a red light on the level of my body. Which reminded me of our equine-assisted teacher & faciliator Kathleen Barry Ingram who likes to say that "the body is a sensing device." Indeed! My body was giving me a very clear message: NO. It was a RED light! This was interesting because in the previous weeks, I had re-learned what a Green Light felt in my body. It felt clear, open, light and RIGHT. This learning occurred when I was trying to determine if a woman who seemed like a good home for our horse Little Man, really was the right match (because she lived 6 hours away so we couldn't actually meet). Although it was hard for my head to trust, in my body, all I could feel was YES...all green lights on every level! And this feeling about Ollie was in stark contrast: my body wasn't showing me the path forward, it was giving me a clear STOP sign. But still I argued with my mind, because the apparent facts of the matter didn't line up with what I was FEELING. Bottom line: I was having trouble TRUSTING MYSELF. 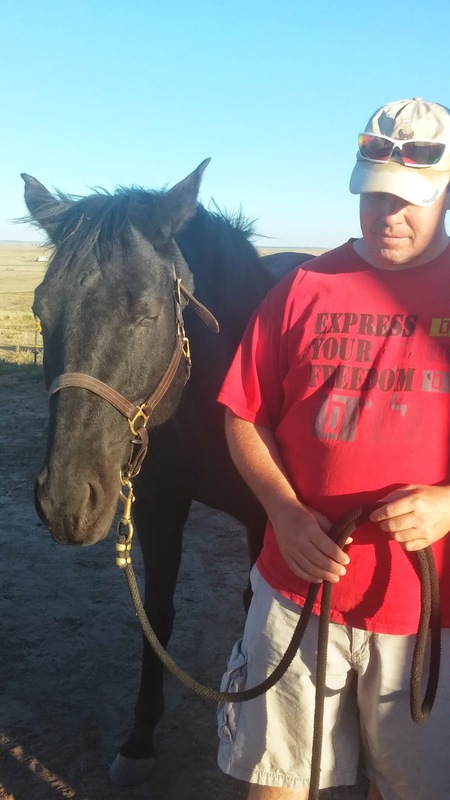 Right before our scheduled second visit, the trainer began to add a little pressure to the situation, saying that if we wanted him we'd have to put a deposit on him the next day, when we tried him again. So I made a last ditch effort to contact Ollie's previous owner to learn more about his history. Lo and behold, the real reason why my body kept saying NO revealed itself! It turns out that Ollie has a long history of seeming calm, but then bucking people off, HARD, and people getting hurt. There was literally a years-long trail littered with people on the ground. His previous owner had taken him knowing this history and tried to help him, and still wasn't successful. Now, it felt to me that Ollie did have a good heart inside and perhaps has always been misunderstood. He deserved another chance with someone who could truly partner with him and allow him to blossom into a wonderful trustworthy partner. But I also knew, that given our circumstances, we weren't the right place for that to happen. And so, we let him go. That was the day that I THANKED my body for a clear signal and decided that I would ALWAYS, ALWAYS trust myself moving forward. Because the BODY NEVER LIES! No matter what everyone else tells you, YOU KNOW what's best for you. Nevermind what trainers or sellers tell you. Nevermind what trusted animal communciators might offer. Your own body will speak clearly if you listen. Do you stop for a moment when making a decision and ASK your body? Feel into what you notice in your body when you ask. Does it feel like a yes, no, maybe? Does it feel open and light, or tight and closed? Practice asking when you are out with your horses! They can help you sense more clearly- since they hold coherent energy in their body fields, they help you match that coherence, where you can feel into Truth more easily. Experiment with decisions small and large, and soon you'll know exactly what your body is trying to tell you! Now here's a wonderful tip for increasing your ability to hear your own intuition through your body! For months, my inner guidance said it was time to stop drinking coffee, but I resisted for a long time. AFTER I finally relented and released caffeine, it helped to clear my intuitive channels and I began hearing messages much more clearer and more often! Part of the problem with caffeine, is that it changes the sensations in your body, making it harder to use it as a clear sensing device! Of course, my next guidance was that meat, wheat, sugar, and diary needed to go. Talk about my resistance now! Then one of our wonderful teacher-facilitators Pam Allen LeBlanc of Hidden Brook Farm, suggested the book, Angel Detox by Doreen Virtue. Upon reading it, I discovered that ALL of those substances can clog up our intuitive channels, making it hard to hear & sense our Inner Guidance! This book also has wonderful suggestions on how to detox from all of these substances and more. Highly recommended. So now I am one week into releasing the rest of these denser energy foods and I'm pretty sure that soon, my Guidance will be loud and clear whenever I stop to tune in. Ready for more Intuitive Tips? Join us on Thursday March 2, during the 2015 Tele-Summit, to learn more tips, tools, and processes for heightening your intuition alongside of horses. 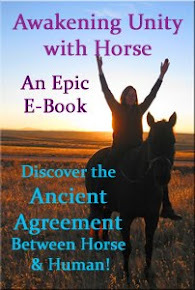 Wendy Golding of Horse Spirit Connections in Canada will be teaching her session: On Demand Intuition- Activating Your Most Powerful Facilitation Relationship with Horses. 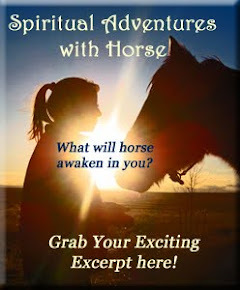 You'll get actual practice tuning into your guidance with horses during this fun, engaging, and experiential session.